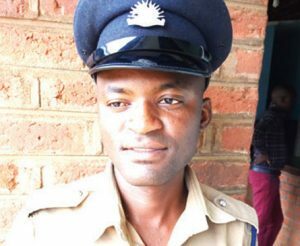 Police in Liwonde are keeping in custody five men including a Group Village Headman (GVH) for allegedly being found with human bones. Confirming the arrests on Friday, Machinga Police Station public relations officer, Constable Davie Silumba identified the men as GVH Dyton Makwesela, 50, Lamilo Mambo, 35, King Wiskies Tuwaliki Galagate, 38, Witman Kadam’manja, 29, and Mussa Sanuwedi Kamba, 30. Silumba said on 3rd January, 2019, police were tipped off that some men were selling human bones. “The police launched investigations and managed to arrest Makwesela and Mambo on 7th January, 2019 at Nkasaulo Village along Bakili Muluzi Highway after they were found with 16 human bones,” he said. Sulumba said the suspects were taken to Liwonde Police Station where they revealed that they were not alone in the deal. “This led to the arrest of the other three suspects on 8th January, 2019. But one of the suspects is still at large,” he said. Sulumba said the suspects confessed to have dug out two graves, one at Nantunga Village and the other at Chilala Village in the area of Paramount Chief Kawinga. He said a visit to the graves showed that the men exhumed the body of Abiti Katungwe Chitaile who died of leprosy and laid to rest in 1970. “At the second scene, the suspect failed to locate the grave where some of the bones were exhumed. “All the suspects have since been charged with offences of possessing human tissues, trespassing burial place, unlawful exhumation of human corpse and causing extraction of human tissues,” Sulumba said. He said all the suspects have since been remanded to Domasi Prison as police are still investigating the case.